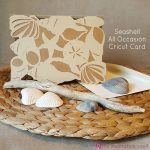 Have you ever bought one of those $4 after-Christmas mystery boxes from Michael’s? I did again this past January (six of them!) and was not disappointed. Of course, there was loads of great Christmas stuff, but what some people don’t know, is they can often include clearance items that have nothing to do with Christmas. 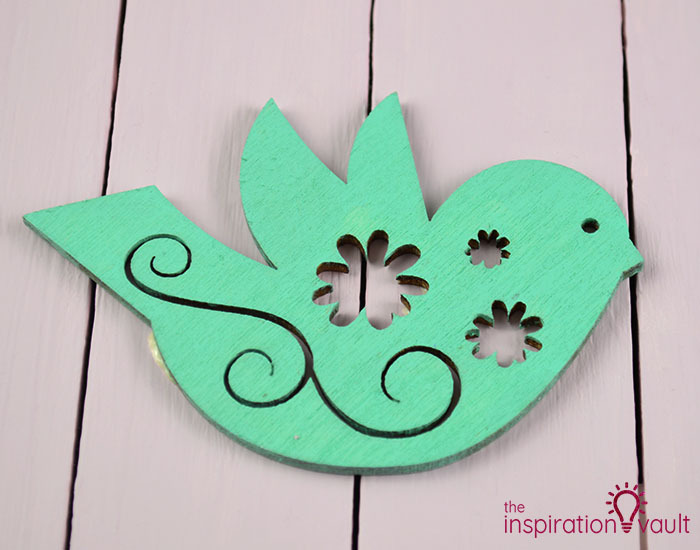 That was the case for this Upcycled Wood Sign for Spring. This small wood sign says “Unwind” with a corkscrew image. 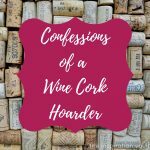 That’s fine, wine is good, it’s just not something I’d hang in my house. So, I tossed it into my wood blanks bin until I got inspired to make it into something else. Well, that day has come, so let me show you how easily you can transform a random wood sign into something you want to hang on your wall. 1. 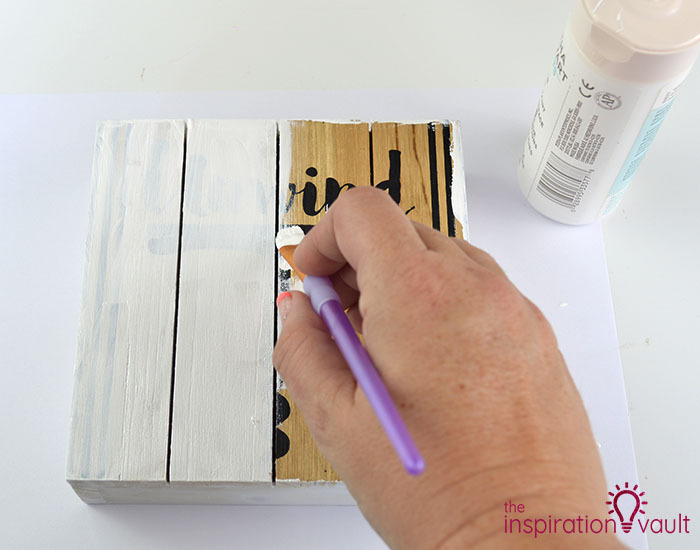 Cover the old painted image on the sign with some white primer or thick white paint. It took three coats for me to cover the black painted images. A spray primer may be able to do it in one coat, but I didn’t have any on hand. 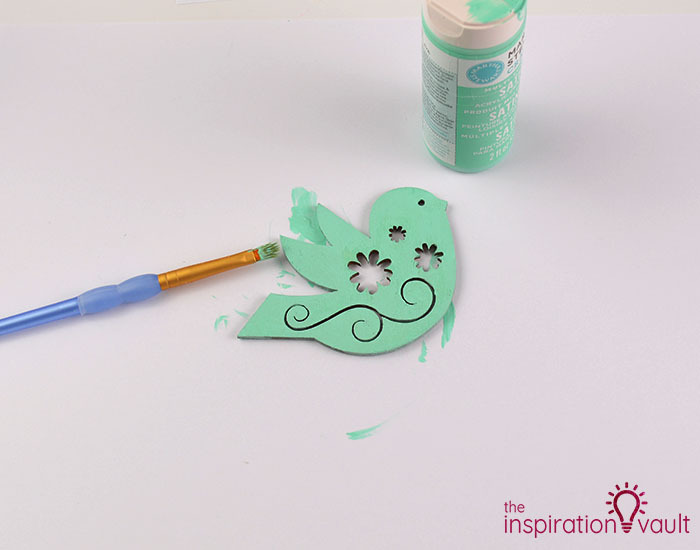 You could also do a coat of paint the same color as the original art, then paint it white. 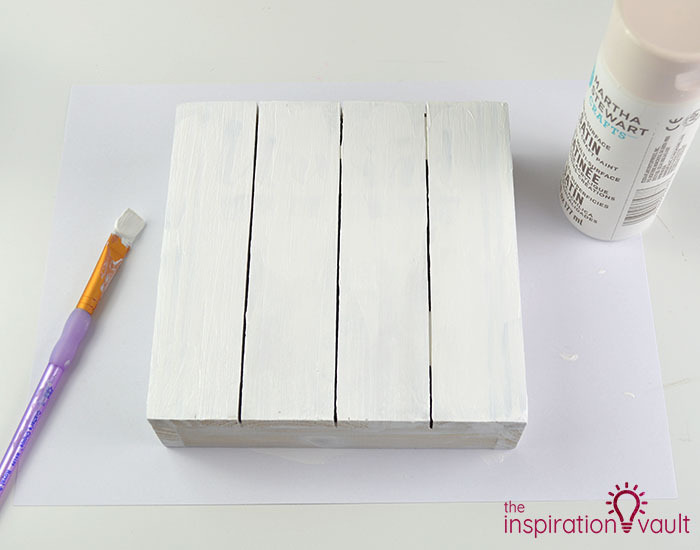 Let each layer of paint dry completely before painting another layer. 2. Now paint your sign a nice pastel color. 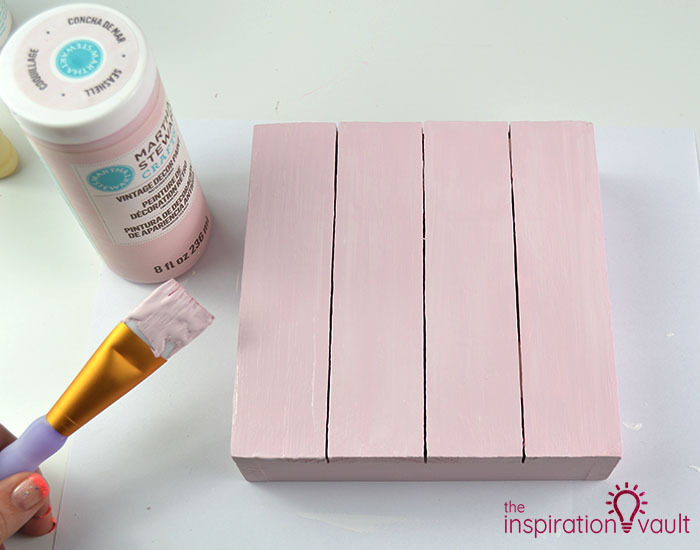 I chose pale pink chalk paint and painted two coats. Let both coats dry completely before completing step 4. 3. 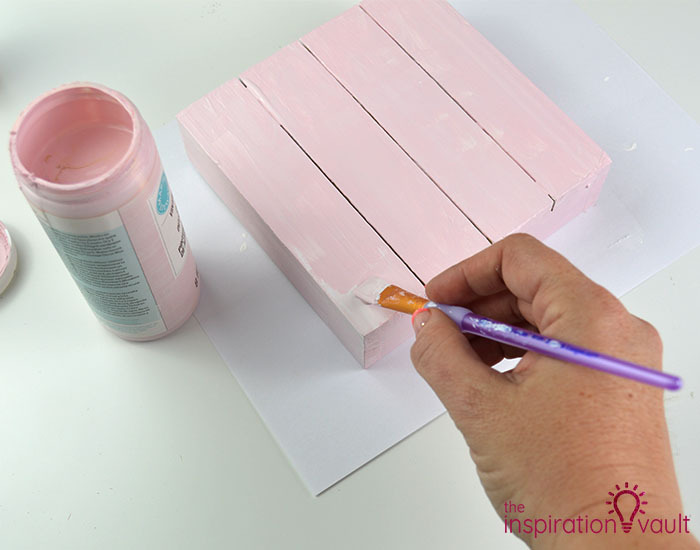 While the sign in drying, paint your wood shape another pastel color. 4. 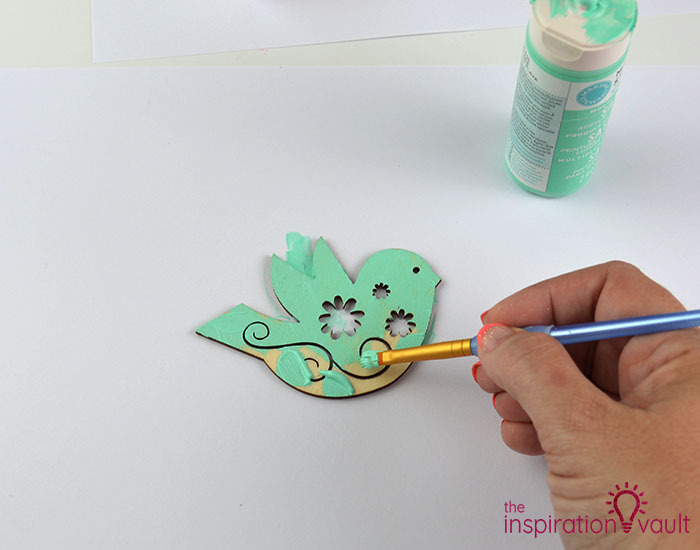 Glue the painted wood shape onto the painted wood sign. And that is seriously it! So the next time you’re in the Dollar Spot (I find a lot of them here) or looking through clearance and find a wood sign with nice bones for cheap but you don’t like the art or color, grab it anyway! 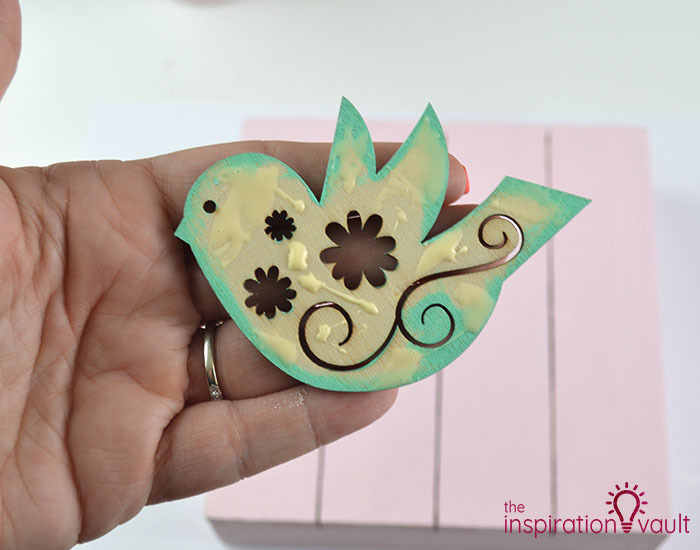 For my sign, I wanted to make something pastel and inspired by Spring to add to my limited Spring decorations, but yours could be any color scheme you like. 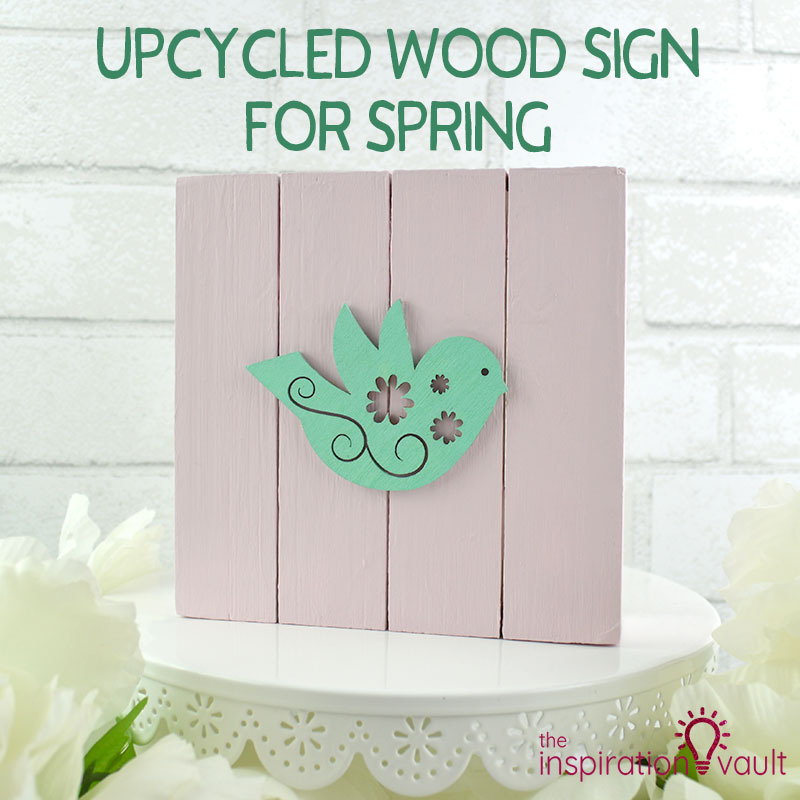 You can easily make an Upcycled Wood Sign for Spring (or any other season or occasion) with some paint and your imagination. 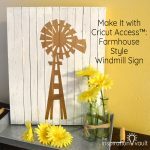 If you like wood sign projects, be sure to see my Wood Sign Using Cricut Stencil Vinyl or my Farmhouse Style Windmill Sign for more inspiration. 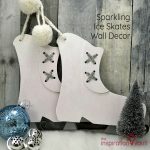 If you could look at wood sign projects all day long, you definitely want to see all of the ideas they have over at the DIY Idea Center! 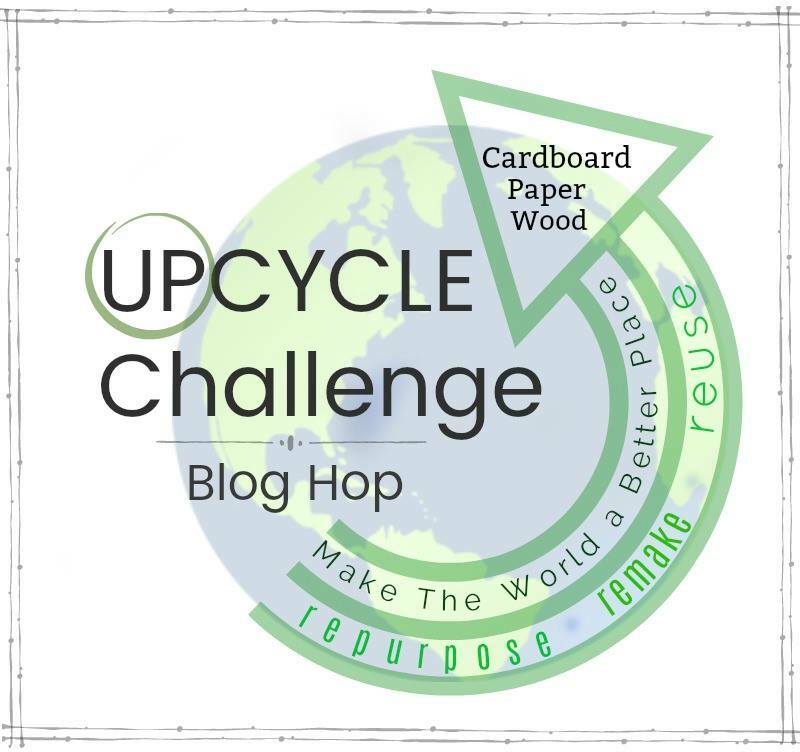 Be sure to visit the other eight upcycled craft projects using paper, wood, or cardboard for this month’s challenge! This is so cute – I love the pink and green color combination! 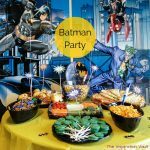 And I have never heard of Michael’s having mystery boxes – are they in store or online? They’re in stores towards the end of January. I’ve heard they sometimes do them for other holidays, too. Great colors and oh so Spring. It’s so fresh and exciting. Will be pinning to my upcycling board . 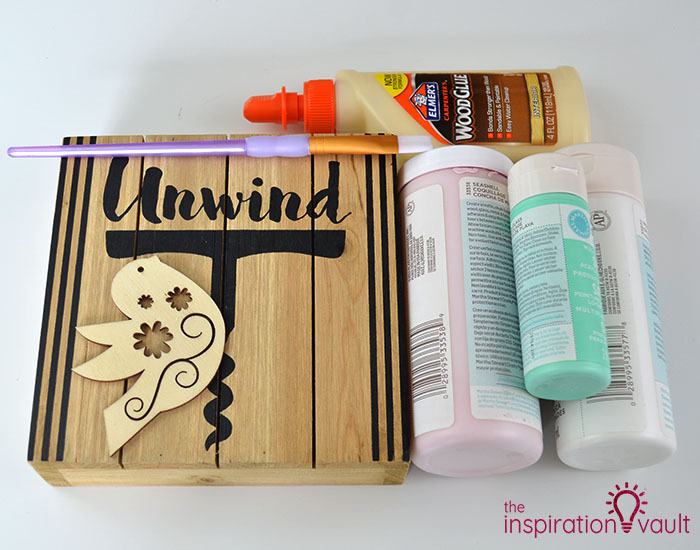 This is an awesome project to remake a little wooden sign. 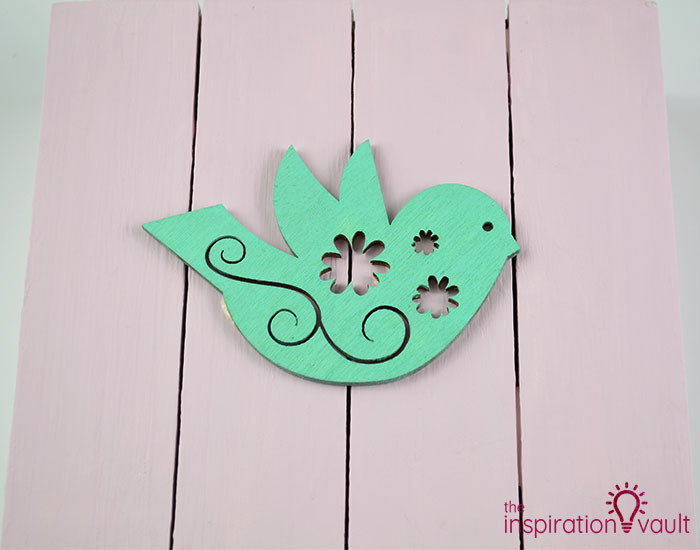 Very cute for spring with that adorable colorful bird and the fresh paint job on the block. I’d love to sit this little gem on my mantel! Secondly, am I the only one who had no idea Michael’s had mystery boxes? I’ll have to check that out! Pinning to share! I love this! What a fun sign for spring time! I find lots of old signs at thrift stores that I’ve given makeovers to. Like you, I always check out the dollar spot at Target and have found some there, too. The colors you chose are perfect for spring! Pinning and sharing. 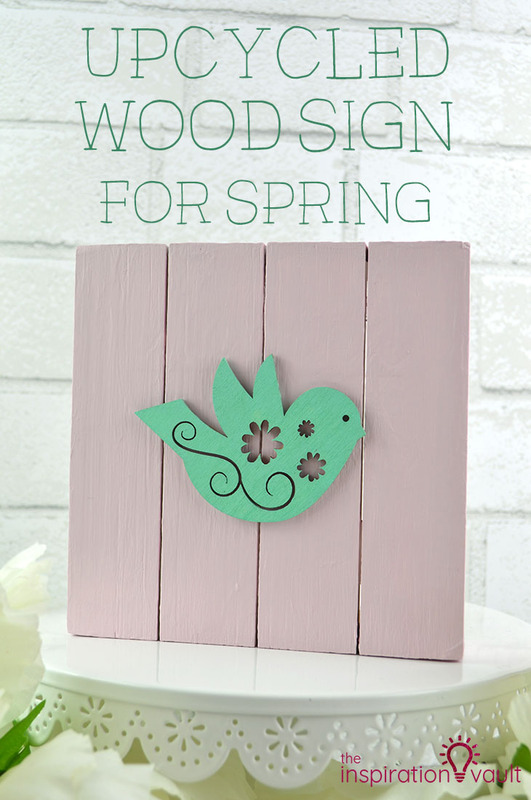 What a cute sign for spring! Love the colors! I’ll be sure to get one of those Michaels’ mystery boxes next time I see them! I’ve always been curious if they were worth buying! Thanks to you and this wonderful project I know it’ll be surprising to see what the goodies will be!